BEAM outdoor dining table made in bamboo lamellas and construction in powder coated black steel tube. 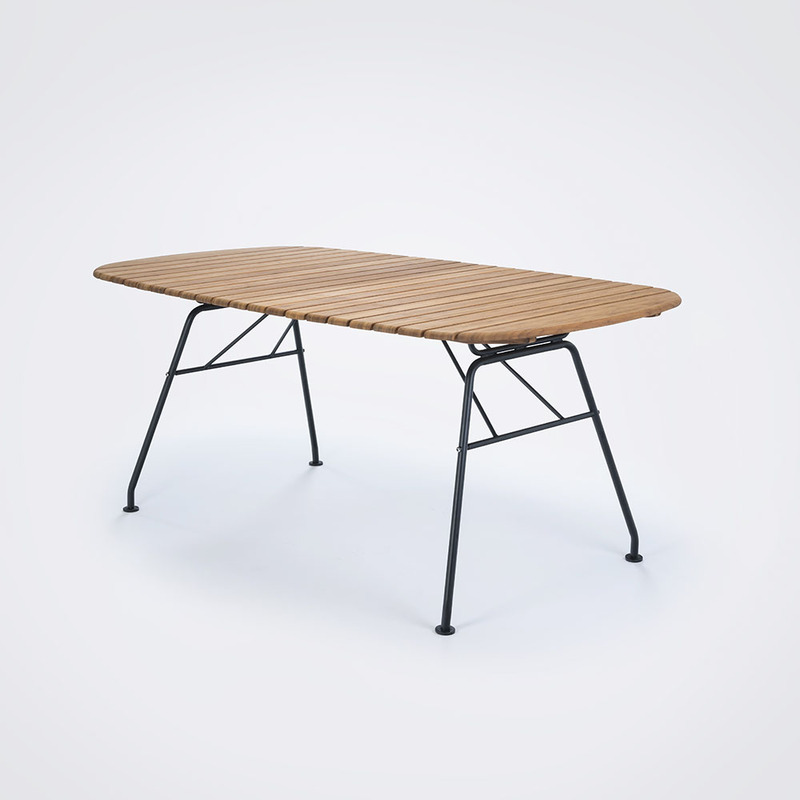 The BEAM table is a folding table which makes it easy to store. Looks great together with HOUE PAON or CLIPS outdoor dining chairs.